Kodak Scan Station 500 (ss500) Scanner Software Drivers, Remote Administration and Nsi Autostore update Software for Operating Systems. The kss500update (v2.0.0.72) release provides updates to the KODAK Scan Station Application. The Remote Administration software application is needed to remotely manage Scan Station 500. The SS500_NSi_update release provides an update to NSi Autostore application. 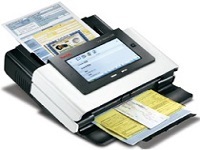 , and filed under Scanner Drivers and tagged kodak scan 500 software, kodak scan station 500 drivers, kodak scan station 500 update, scan station 500, station 500 software.